Five marketing management philosophies or concepts have been commonly expressed. These concepts have been popularised by Kotler. These are: The production concept, the product concept, the selling concept, the marketing concept, and the societal marketing concept. The Production Concept: The production concept matched with the production era at which period emphasis was on quantity produced and low price. The production concept assumes that consumers will favour those products which are available and affordable; and that the major task for management is to pursue improved production and distribution efficiency. The production concept will be appropriate in two types of situations. The first is where the demand for a product exceeds supply. The second is where the production cost is high and have to be brought down to expand the market. Examples where in production concept has featured include the cement industry, digital watches, electronic calculators, mass transportation organisation, and the activities of non-profit organizations including government agencies. The Product Concept: This concept relates to the product era at which period quality was the main emphasis. The product concept assumes that consumers will favour those products that offer the most quality for the price, and therefore the organisation should devote its energy to improving product quality. This concept represents a broader perspective on the part of management. The problem was no longer limited to only increased output but also improved quality. Non-profit organizations also frequently exhibit a product orientation. Universities and colleges assume that school leavers and other aspirants will continue to want their products, churches, police departments, the post office and some government especially in less developed countries (LDCs) feel that they are offering the public the right product and that the public should be grateful, and should want them to continue to be that only in government, but also in power. The textile industry in Nigeria typifies this product orientation also. This concentration on the purity and immutability of the product eventually gets these organizations into deep trouble, as many are finding out. The Selling Concept: This is also called the Sales Concept and derives from the selling or sales era. The selling concept assumes that consumers will either not buy or not buy enough of the organisation’s products unless the organisation makes a substantial effort to stimulate their interest in its products. The selling concept entails more responsibilities on the part of management when compared to the former two concepts. In addition to quantity and quality of goods produced, sales efforts like advertising, branding, packaging, etc; have to be intensified in order to entice and retain customers. . .
Those practicing the selling concept typically assume their goods are “sold”, “not bought”. For example, insurance agents hold that people do not feel a strong need for insurance. Therefore, it is necessary to aggressively search out-potential customers and educate them on the benefit of insurance. Non- -profit organizations have adopted the selling concept including political parties seeking votes for their candidates. A political party, having chosen a candidate on whatever grounds starts vigorously to sell the candidate to the voters as a fantastic person for the job; Huge amount of money is spent on radio and television advertising, posters and mailings. Any flaw in the candidate is shielded from the public because the aim is to get the sale not to worry about post purchase satisfaction. Obviously, there are great risks in practicing the selling concept especially in its hard-driving form where customer satisfaction is considered secondary to getting the sale. The Marketing Concept: The marketing concept is a more recent idea in the history of exchange activities. This is practiced in the developed countries of the west. The philosophy of marketing is the philosophy of consumer service. The philosophy sees the consumer as the central focus of all the activities of an organisation because no organisation can survive without the continued patronage of its customers. William J. Stanton’s definition of marketing brings out clearly the modern concept of marketing. It states, “in its fullest sense the market concept is a philosophy of business which states that the customer want satisfaction is the economic and social justification of a company’s existence”. Consequently all company activities in production, engineering and finance as well as in marketing must be devoted to first, determining what the customer’s wants are and then, satisfying these wants still making a reasonable “profit”. Therefore, the concept holds that the key task of the organisation is to determine the needs and wants of target markets and to adapt the organisation to delivering the desired satisfaction more effectively and efficiently than its competitors. * Consumer is sovereign, etc. Instead of trying to market what is easiest for us to make, we must find out much more about what the consumer is willing to buy. The concept has concern for consumer well-being and the adequate fulfillment of his needs or satisfaction as the most dependable paths to the realization of an organisation’s short and long-term goals. . In Nigeria, some companies have incorporated the practice of marketing into their operations. Examples include Nigerian Breweries Pic., Nigerian Bottling Company Pic., Lever Brothers Nigeria Pic., Cadbury Nigeria Pic., Food Specialities Ovaltine (WA) Pic., etc. The Societal Marketing Concept: Not long after the marketing concept became widely accepted by many firms, it came under fire. Critics have persistently charged that marketing ignores social responsibility. That is the marketing concept may help an organisation achieve its goals, it may at the same time encourage actions that conflict with society’s best interest. Societal marketing concept holds that the success of a firm is measured by the degree of both consumer and society well-being and that management should direct its efforts at. satisfying consumers at a profit as well as maintaining the society’s well-being. Names has been suggested for the societal marketing concept which include “humanistic marketing”, and “ecological marketing”. The societal marketing concept questions whether the pure marketing concept is adequate in an age of environmental problems, resource shortages, rapid population growth, worldwide economic problems, and neglected social services. The societal marketing concept calls upon marketers to build social and ethical considerations into their marketing practices. The benefit in practicing this concept is the long-term success of the firm. Firms that practice the concept are more likely to be accepted by the public. This may result in larger share of the markets and consequent increase in sales and profit. However, the practice of this concept is at present restricted to the affluent countries like USA where the citizens have relatively gone above the need level. Marketing philosophy and organisation is influenced by various factors. Such as changes in population and income, technological advances, competition, communication media, etc. The developments in consumer market have been forcing producers to adjust their operations to the marketing concepts. Population Growth: Changes in markets are constantly taking place with the growing population size. Larger and growing potential markets exist for the widening stream of new consumer products being introduced to the market. The growth in population attracts many producers, thus stimulating competition in the markets and thus the desire to satisfy the consumers. This will definitely influence the adoption of the marketing concept. Growth in Disposable Personal Income: Total disposable income after tax payment| rose recently with the increase in workers salary, though real income (purchasing power) has not been so great. Inspite of rising prices, the consumer enjoy continuing increase in the purchasing power at his disposal.- The households have now more discretionary income. It is the money left after the purchases of essential food, clothing and shelter that may be spent, saved, or used for the purchase of ‘non-necessities’. This has led to expansion of the markets for items like television sets, transistors, coolers, etc. Hence, the need for producers to adjust their products after conducting research in the field of consumer’s wants and desires. Technological Changes: Technological break-through have made products and even entire industrial concern obsolete. Such technological break-throughs encourage producers to acquire newer technologies and by so doing increase the goods available in the markets. Technological changes are key element in the competitive struggle among companies. It increases the list of products for customers’ choice. Thereby, making it necessary for a company wishing to .survive the technological war to adopt the marketing concept. New Attitude Towards Debt: With the increase of banking and credit facilities people try to purchase new items on credit or hire purchase and installment basis with minor payments monthly. Marketers of many products have accepted credit plans to accelerate expansion of their market as is ‘buy now – pay later’ plan. This changing attitude toward debts and the increasing ability of the consumers to receive credit has added more -to the intensity of competition for the consumers’ money in hand. Companies now try to provide credit facilities to customers as a way of attracting and satisfying them. Changes in Marketing Channels: The existence of a variety of ways in which goods and services could be made and reach the consumer is also a factor that influence the adoption of the marketing concept. The range of distribution options open to the manufacturer .has broadened considerably, making it easier for potential buyers to locate and buy his product. Many new types of distinctive .institutions have come up; the consumer markets have also been invaded for some products by some markets. In Nigeria, we can find a provision store in the street also selling patent medicine. Growth of mass communication media: Mass communication plays a big role in marketing these days. It has helped the extension of global markets and large scale production. The ready availability of mass communication media like newspapers, magazines, radios, and televisions means that many more consumers in far places can be told about the existence of products. The spread of a new product through advertisement has become easier, faster, wider and more effective than in the past. To cope in this kind of intensely competitive market situation, producers, in search of consumer satisfaction, are likely to adopt and implement the marketing concept. Availability of experts or professionals: The availability of experts or ‘professionals in the field of marketing has encouraged the adoption of the marketing concept. Marketing experts or professionals know the value of a company being consumer-oriented and they try their best once they are in position to translate their belief into action. This will win the goodwill of the consumer and ensure the long-term survival of the company. Factors that Discourage the Adoption of Marketing Concept. Production Orientation. The traditional orientation of top management is often focused on the production. This involves; falling in love with the company’s own products, making them better, improving the product process, while at the market and the same time neglecting changes in the market and the competitive situation. The product-oriented company is often dominated by production specialists and other technical experts, and the role of marketing is seen as simply that of moving the product. Sub-Optimisation which occurs when individuals managers pursue their units or departments goals without realizing that all of them are working for the overall goal of the organisation. In such an organisation, it will be difficult to see the consumers as the focus of the existence of the company. Communication Difficulties may discourage the adoption of the marketing concept. These difficulties may arise due to complexity of the functions performed by the different departments and their seeming lack of relationship with one another. Scarcity situation is an enemy to the adoption of the marketing concept. Under a product scarcity situation, the buyer instead of the seller becomes the active marketer. This is because the buyer goes out looking for the product and sometimes inducing the seller in order to buy such product. Profit maximization occurs when the companies are thinking more of profits and less of consumer satisfaction. In this case, companies overprice their products/services without thinking of giving adequate value to the consumers. Companies that are concerned with profit maximization cannot adopt the marketing concept in the true sense of it. To accept a concept is one thing, to implement that concept is quite another. It is the view of majority of the executives that most marketers in Nigeria are not actually putting the marketing concept into operation, although they have paid considerable lip service to the concept. According to researchers, the major problem facing the marketing concept in Nigeria is one of implementation. 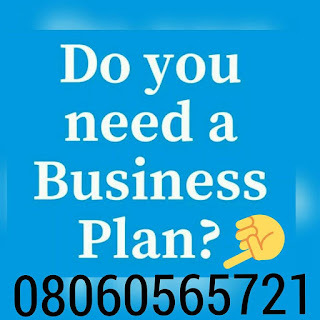 Also a major factor in the non-adoption of this business philosophy must lie with the feeling by most Nigerian executives that the marketing concept, conceived in the economically developed countries, is probably irrelevant to the economic situation of developing countries. Agbonifoh (1998) had suggested the following possible reasons as responsible for non-adoption of the marketing concept in Nigeria. Lack of the necessary human and financial resource for putting the concept into practice. Reluctance on the part of management to accept changes in practices which the adoption of the concept would involve; and Ignorance on the part of management on how to effectively implement the concept.